IMCDb.org: 1968 Opel Kadett LS [B] in "Alter Kahn und junge Liebe, 1973"
LS-version, so Coupé and not Sedan. Left annother B-Kadett and a Fiat 132. Oh, right of the construction trailer annother B-Kadett. 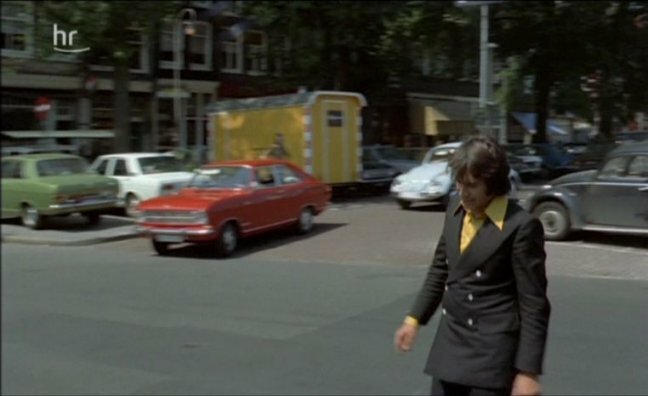 Edit: the white car is rather a Datsun 1400 (? ), not a Fiat 132.